Group50 provides a unique set of skills for supporting Mergers and Acquisitions strategies. Business redesign-optimization, Cost Takeout and corporate-operational restructuring can yield great opportunities for growth improvement in financial performance. Supply chain challenges often give rise to business development opportunities within portfolio companies for investors, both pre-and post-acquisition, the potential of which can often go unrealized during times of transformation and business process redesign due to a reallocation of resources or lack thereof. Group50 excels in solving complex strategic planning and business development challenges, both within specific portfolio assets as well as across portfolios. Our strategic advantage lies in the unique leadership skills, insights, program management expertise and best practices we bring to each client engagement, particularly in business process redesign and development of go-to-market strategies. We also excel at the development of prospective relationships needed to support expansion, and help clients identify and capture every technical advantage. Group50’s strategic planning, business development and strategic funding consultants work in support of investment objectives to help you and your management teams capitalize on transformational growth opportunities. We can help identify funding, partnership and client opportunities that will help your businesses achieve greater market share, recognize better cost efficiencies and deliver greater customer and partner satisfaction. Group50 consultants have worked across the globe, and have completed projects in over 25 countries, with operating experience in every functional area, in roles requiring bi-and at times tri-lingual expertise. We have built, led and worked with multi-disciplined, cross-functional project teams located both domestically and in geographies around the world and served in various formalized senior corporate development, board and advisory roles. They have functioned as advisers to boards and management of various companies, coordinated cross-functional team activities and bring complementary skill sets to each client engagement with expertise which comes from seeing best practices in many industries and all functional areas. We have the resources required to deal with all project requirements without having to go outside to other firms. Our business development, strategic planning, strategic funding and global IT capabilities enable us to work with clients effectively, and partner selectively and quickly to provide assessment, integration and implementation support for CIOs and their teams, IT services organizations needing additional support, private equity firm operators, single and multi-family offices. Our core bench strength includes partnerships with legal, accounting and financial services firms. Our consulting services cover the gamut of client needs including assessment, lean manufacturing and continuous improvement, value stream mapping, supply chain optimization, business transformation, digital and information technology, process optimization, human capital consulting, market effectiveness and restructuring. Our team brings deep experience in the following industries: Manufacturing, Aerospace, Automotive, Food, Supply Chain and Distribution and Healthcare. Our clients are typically middle market companies from $50-$750 million dollars in annual revenues, have multiple divisions and global footprints. Many of our clients have operations and supply chains that span the globe. The operating teams we work with come to us with real-world problems to solve that are often complex in nature. As a result, we have developed reference operating models for each of these industries that focus on critical business processes that are based on best practices that we have learned from hundreds of clients. Furthering our Supply Chain subject matters expertise, we can help leverage Blockchain and IoT through our plug-n-play solution called Scioebc™. These solutions provides investors and management teams greater visibility, security, traceability and transparency as well as reduced supply chain costs supporting both supply chain and business development growth objectives. We understand the transformative impacts of technology. At every stage of growth for our middle market clients, Group50 provides both interim and longer-term executive level strategic planning, business development, strategic funding and scenario planning support for strategic business development initiatives, before, during and after integrations of acquired assets. Read more about our Integration Assessment which is designed to support the acquisition decision making process. Read more about our Integration Practice, related blog articles and how important Business-IT Alignment is. Our goal is to help you realize the investment potential of the companies and teams in which you are invested, whether you are an operating partner, Private Equity firm, family office or investment professional. 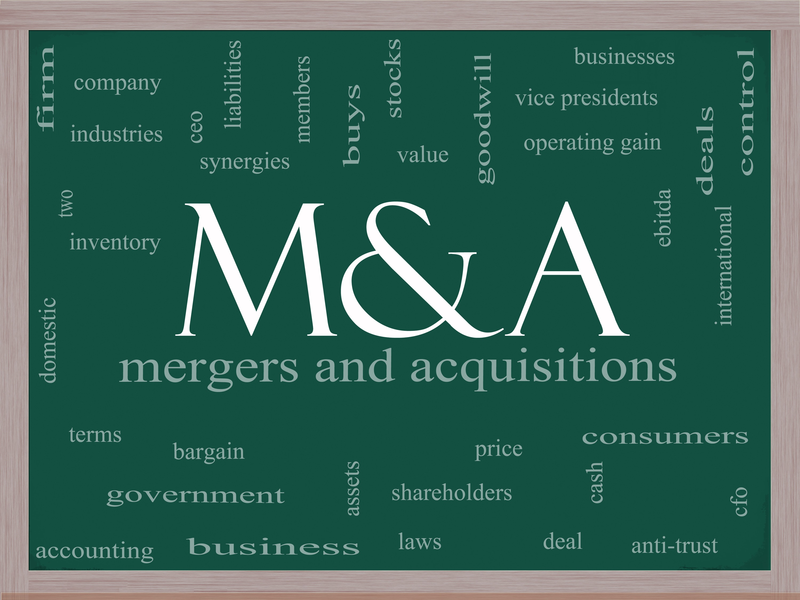 To talk to a Group50 Mergers and Acquisitions expert call (909) 949-9083, send us a note to info@group50.com or request more information here.